Nutrients as Ergogenic Aids for Sports and Exercise discusses the growing body of information regarding the enhancement of human physical performance by dietary manipulations through ergogenesis. It balances the application of nutritional manipulations between overzealous promoters and recalcitrant cynics. By offering a thorough, comprehensive and up-to-date review of what is known about ergogenic effects of nutrients on humans, it bridges the gap between common usage and scientific knowledge. Nutrients as Ergogenic Aids for Sports and Exercise covers in detail many popular product ingredients not considered elsewhere. It illustrates areas awaiting future research, and offers suggestions for avoiding the pitfalls of performing ergogenesis research. INTRODUCTION. Definitions and Historical Background. 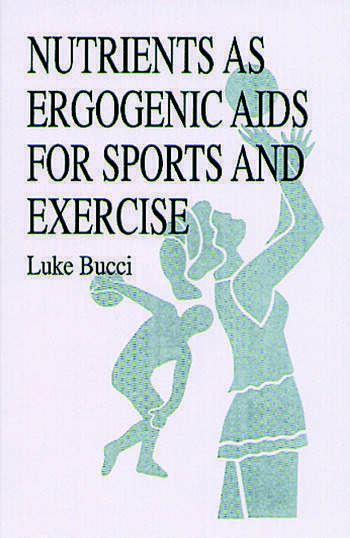 NON-NUTRITIONAL ERGOGENIC AIDS. Pharmacological Aids. Foodstuffs as Banned Substances. Banned Pharmacological Substances. NUTRITIONAL ERGOGENIC AIDS - MACRONUTRIENTS. Macronutrient Manipulation. MICRONUTRIENT SUPPLEMENTATION AND ERGOGENESIS - VITAMINS. Water-Soluble Vitamins. MICRONUTRIENT SUPPLEMENTATION AND ERGOGENESIS - METABOLIC INTERMEDIATES. Alkalinizers (Bicarbonate). Antioxidants. Aspartate Salts. Carnitine. Coenzyme Q10. Creatine. Methyl Donors. Nucleic Acids (Inosine and Adenine). MICRONUTRIENT SUPPLEMENTATION AND ERGOGENESIS - MINERALS. Calcium. Magnesium. Iron. Phosphates. Zinc. Selenium. Chromium. MICRONUTRIENT SUPPLEMENTATION AND ERGOGENESIS-AMINO ACIDS. Arginine. Aspartic Acid. Branched-Chain Amino Acids (BCAAs). Glutamate. Glycine. Lysine. Ornithine-a-Ketoglutarate (OKG). Tryptophan. Summary of Amino Acid Ergogenic Properties. SPECIFIC COMBINATIONS OF NUTRIENTS. Micronutrient Mixtures. Specific Macronutrient Manipulation. DIETARY SUBSTANCES NOT REQUIRED IN HUMAN METABOLISM. Alcohol (Ethanol). Caffeine. Ferulates. Gelatin. Ginseng. Octacosanol and Wheat Germ Oil. Pollen. Succinates. Commercially Available Substances with No Testing. DESCRIPTION OF RESEARCH VARIABLES FOR ERGOGENIC AID STUDIES. Human Subject Variability. Placebo Effects. Applicability of Animal Research. Sufficiency of Current Research. Nutritional Ergogenic Aids - Foods or Drugs? SUMMARY AND GUIDELINES FOR USE OF NUTRITIONAL ERGOGENIC AIDS. 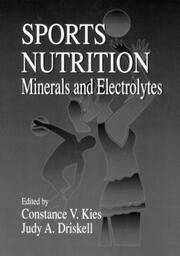 "This book combines a comprehensive review of ergogenic aids in a package that is concise and well-referenced. 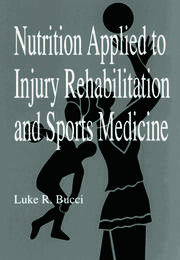 Bucci has done a fine job of covering a complex topic so that it is useful to the sports-nutrition and sports-medicine practitioner." "...a comprehensive starting point for the student, athlete, coach, athletic trainer, physical therapist, or phsician seeking research material on the subject of ergogenic aids."